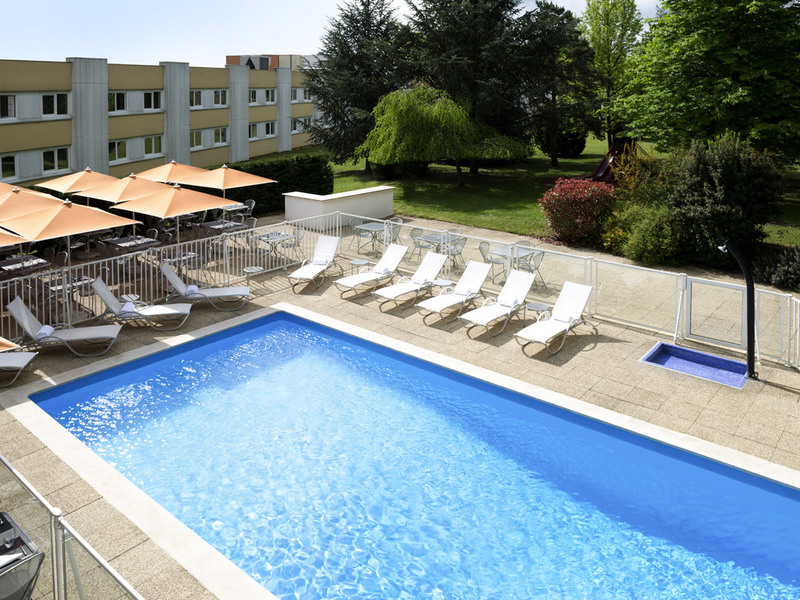 The 4-star Novotel Mâcon Nord is located 8 minutes from Mâcon and 1 hour from Lyon airport. It is also 2 hours from Marseilles and 90 minutes from Paris by TGV train. Our hotel has a restaurant opening onto the terrace and swimming pool, a bar, meeting ro oms for your seminars and a free enclosed outdoor car park. Free WIFI is available throughout the hotel. The Novotel Mâcon Nord is ideal for both business trips and family vacations or stop-offs on your vacation route. With their contemporary and completely modular design, Novotel's spacious rooms are true living areas and can be adapted to suit all requirements. The hotel The Novotel Mâcon Nord is ideal for families (room with a double bed for the parents and 2 single pullout beds for 2 children) or for business customers (double bed, sofa, large desk). Baby cot can be provided in the room on request. Room okay. Clean and functional, but had to ask for extra towels for kids and make up sofa bed for kids although booked as a family room. Breakfast made up for this as really good and a overall good value. A most pleasant and enjoyable overnight stay. Clean and convenient room as always and an excellent evening meal. Breakfast equally good. Straight forward, friendly and professional. Adequate bar and restaurant. Large room. Nice gardens and pool for warmer weather. Close to auto route. I found it very unsatisfactory. We have stayed here 2 or 3 times before and liked it. This time I noticed a considerable drop in standard and were very unhappy. The room smelt badly of smoke although it is meant to be non smoking. The food produced at supper was appalling. We will not be staying here in the future. The room had a double bed and a convertible couch. Because of this there was not much space either side of the bed for a table or to squeeze out on the wall side. Quick in and out to continue my journey Comfortable room, but a long walk! Dining was good. We’ve stayed many times at this hotel. It is always comfortable, clean, lovely rooms. Friendly efficient staff and great variety of food at dinner and breakfast. Well priced for the level of hotel. Great place next to moterway with good restaurant and bar and breakfast to refresh for the next day of travel. We stay here whenever we go to the Alps skiing. However, despite booking 2 rooms, a double and twin, this is the second year that the rooms have not been made up correctly. Only one bath towel in each bathroom (others apparently are in the room, who knew?) and instead of separating the beds (easily done with a zip down the middle) on of our teenagers is put on the sofa with a blanket as a cover - not a duvet. Its a shame as this lack of attention to detail seriously damages our satisfaction as its often late when we arrive. Staff were very accommodating despite us arriving at 10pm to check in. They even managed to provide us with dinner, which was very much appreciated. Stopped here on our way to south of France. Had a family room for 4. Clean and very comfortable. Breakfast was good value and even had a good gluten free option. Staff very nice and helpful. Very nice stay with two small children and a dog. The children's play area in the lobby area is excellent whilst we had a glass of wine. Good was tasty for dinner and breakfast excellent. Room comfy . Good pillows and beds and hot shower. Job done.